Ahh! So I know my birthday is four months away, but I thought I’d get myself an early, really early, birthday gift. 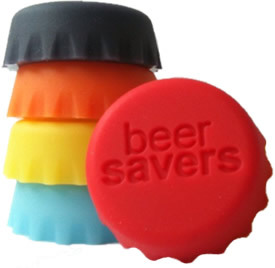 I came across Beer Savers, silicone bottle cap for beer bottles. 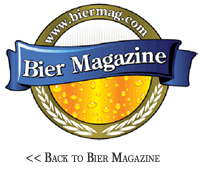 The Beer Savers help keep beer carbonated longer after you open a bottle, they also help you identify whose beer is whose at parties. I like that they’re tight enough to help keep the beer’s bubbles from escaping. Personally, I don’t know who can’t finish they’re beer all at once, but these caps are great for brewers because they’re reusable! The set comes with six colored cap: black, orange, yellow, blue, red for $12.99. But they’re currently having a sale for $7.99 on the website.